An opening ceremony of the international scientific conference under the motto "The spiritual legacy of Nasimi in historical and cultural context of medieval East" has been held in the Institute of Asian and African Studies (IAAS) at Lomonosov Moscow State University. The event was held as part of the Nasimi Festival of Poetry, Arts and Spirituality, co-organized by the Heydar Aliyev Foundation and the Azerbaijani Embassy in Russia. Vice-president of the Heydar Aliyev Foundation Leyla Aliyeva attended the opening ceremony. In his remarks, Director of the Institute of Asian and African Studies Igor Abylgaziyev stressed that the President of Azerbaijan Ilham Aliyev signed an order on holding the anniversary of the great Azerbaijani poet and thinker Imadedin Nasimi at the state level. Abylgaziyev hailed Nasimi’s works as one of the most perfect examples of world poetry. "The works of Nasimi are one of the most perfect examples of world poetry, which celebrate the greatness of man, the freedom of the individual," he said. Abylgaziyev noted that the legacy of Nasimi is a special stage in the history of Azerbaijani literature. The outstanding poet has invaluable services in enriching Azerbaijani poetry with the ideas of humanism. He particularly noted the role of the national leader of Azerbaijan Heydar Aliyev in promotion of Nasimi’s legacy . "Thanks to his initiative, the 600th anniversary of Nasimi was included in the list of UNESCO events and was marked in 1973 internationally. Since that time, important steps have been taken to study Nasimi’s legacy more thoroughly," he said. Azerbaijani Ambassador to Russia Polad Bulbuloglu hailed the importance of educating youth according to the values of their ancestors. 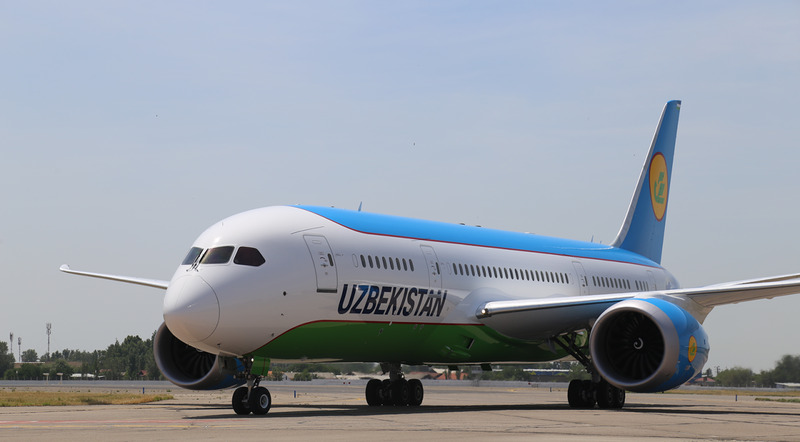 The diplomat stressed that the conference dedicated to Nasimi is taking place at the Institute of Asian and African Studies (IAAS), where the Azerbaijani language is taught. The event then featured the recitation of Nasimi’s poems in performance of the students in different languages. Azerbaijani actors presented a poetic play "Merhaba" to the viewers. The conference continued its work on November 20. Presentations were made on various topics including "Nasimi Festival: An Experience of Dynamic Interpretation of Ideological and Cultural Legacy", "Nasimi and Jan Hus", "Cultural unity of the East and the West ",“ The language of Nasimi - yesterday, today, tomorrow", etc. A solemn ceremony to unveil a bust of great Azerbaijani poet and thinker Imadeddin Nasimi has been also held at Moscow State Institute of International Relations (MGIMO). The ceremony was also held as part of the Nasimi Festival of Poetry, Arts and Spirituality, co-organized by the Heydar Aliyev Foundation and Azerbaijani Embassy in Russia. "Today we have gathered for an event dedicated to the great poet, philosopher and thinker Nasimi. Nasimi lived and worked in the XIV-XV centuries and played a huge role in the development of Azerbaijani literature, created masterpieces of Azerbaijani poetry, laid the foundation of the Azerbaijani literary language. The poetry of Nasimi is alive and relevant today," she said. 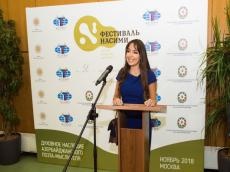 In her speech, Vice-President of the Heydar Aliyev Foundation stressed that the first Nasimi Festival of Poetry, Arts and Spirituality was held in Azerbaijan this September. Exhibitions, theatrical performances, video installations were held as part of the festival. The event was held in Shamakhi - the homeland of Nasimi and in Baku. "Nasimi’s philosophy is so deep that it is capable of embracing the immense, penetrating the hidden layers of the human consciousness and explaining many phenomena. We are eternally grateful and very pleased that today we are opening the bust of this great man in the building of the Moscow State Institute of International Relations", she said. "Nasimi’s poetry had a great influence on poetry in Azerbaijani and Arabic languages and the culture of the region of the large Middle East. The opening of the bust of this great thinker in our university, where the problems of the East and Eastern languages ? ?are given great attention, is deeply symbolic," he said. The Ambassador expressed his gratitude to the Heydar Aliyev Foundation and the sculptor for the creation of the bust. Polad Bulbuloglu stressed that the ceremony is another evidence of the indestructible friendship between Azerbaijan and Russia. The actor of the Vakhtangov Theatre Eldar Tramov read poems by Nasimi to the accompaniment of tar player Gorkhmaz Akhundova.